CONDOLENCES TO THE FAMILY AND FRIENDS OF THE PASSANGERS AND CREW OF AH 5017 WHICH CRASHED IN NIGER TODAY JULY 24.2014.WE HOPE AND PRAY THAT THERE WILL BE SOME SURVIVORS. Condolences to the family and friends of the passangers and crew of Air Trans ASIA flt. Ge 222,we also hope and wsh for a speedy recovery for all the survivors. Condolences to the family and friends of Skye Bartusiak,who died on july 19,2014 at the tender age of 21.She was an American film and television actress. The death of such a young person is always very sad and shocking to many and in many ways also seem unfair ,because it appears that they have not been given the opportunity to achieve their true potential,but in the grand scheme of things only the universe can make sense of it all. Based on the information encoded into her date of birth and name she was coded to the age of 22,which is exactly the age of her death since she was approaching her 22nd birthday on September 28,2014. May the angels greet and guide her into eternity. Condolences to the family and friends of mr. James Garner,who died yesterday july 19,2014. 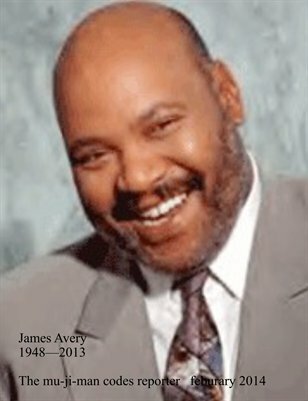 He was a film and television star. Based on the information encoded into his birth date and name he was coded to the age of 85. We wish him a pleasant journey as he embarks on his journey through eternity. THIS IS WHY WE MUST CHOOSE LOVE. JULY 18 OF EACH YEAR IS NOW DEDICATED AS MANDELA DAY,AS WE LOOK AROUND THE WORLD TODAY ,WE SEE ONLY STRIFE AND DEATH ACROSS ALL REGIONS ,ONE YEAR AGO WE LOST A GREAT MAN THAT SPENT HIS ENTIRE LIFE FIGHTING AGAINST HATE, INJUSTICE,AND ALL THE OTHER NEGATIVE CONDITIONS THAT CONSUME THE HUMAN REALITY. LETS ALL JOIN TOGETHER TO MAKE EVERY DAY A MANDELA DAY. HOW UNLUCKY CAN AN AIRLINE BE,THEY ARE STILL REELING FROM THE STILL MISSING MH 370 . CONDOLENCES TO ALL THE FAMILY MEMBERS AND FRIENDS OF ALL THE PASSANGERS AND CREW ONBOARD . CONDOLENCES TO MS NADINE GORDIMER,WHO DIED ON JULY 14,2014. SHE WAS A SOUTH AFRICAN WRITER, POLITICAL ACTIVIST AND RECIPIENT OF HE 1991 NOBEL PRIZE IN LITERATURE. HER MU-JI-MAN CODES REVEALED SHE WAS CODED TO THE AGE OF 100. WE WISH HER A VERY JOYOS AND PEACEFUL JOURNEY THROUGH ETERNITY. Condolences to the family and friends of Mr.David Legeno,who died 0n july 06,2014. He was an English actor,boxer and martial artist. 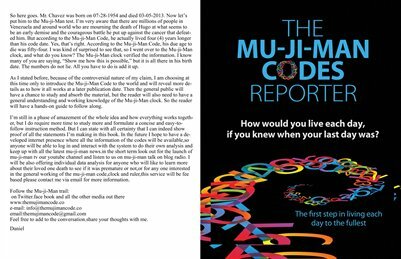 Based on his mu-ji-man codes he was coded to die at the age of 50. We wish him gods speed and blessings as he embark on his trip through eternity.